From the New York Times bestselling author of Girl in Pieces comes a novel about love and loss and learning how to continue when it feels like you're surrounded by darkness that Karen M. McManus, the New York Times bestselling author of One of Us Is Lying, calls "rare and powerful." Here is what happens when your mother dies. It's the brightest day of summer and it's dark outside. It's dark in your house, dark in your room, and dark in your heart. You feel like the darkness is going to split you apart. That's how it feels for Tiger. It's always been Tiger and her mother against the world. Then, on a day like any other, Tiger's mother dies. And now it's Tiger, alone. Here is how you learn to make friends with the dark. Kathleen Glasgow's first novel was the New York Times bestselling novel Girl in Pieces. 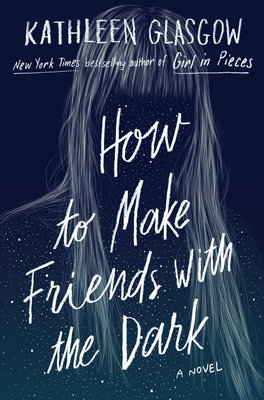 How to Make Friends with the Dark is her second novel. She lives and writes in Tucson, Arizona. To learn more about Kathleen and her writing, visit her website, kathleenglasgowbooks.com, or follow @kathglasgow on Twitter and @misskathleenglasgow on Instagram.